Updates updates updates: so much going on! 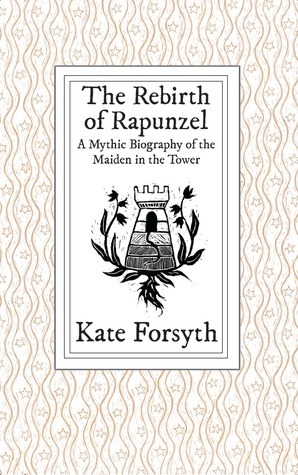 The wonderful Galactic Suburbanites are hosting a giveaway of Kate Forsyth’s new non-fiction collection, The Rebirth of Rapunzel: A Mythic Biography of the Maiden in the Tower – listen to their latest episode for details to win! The book will be officially launched THIS SATURDAY at Contact 2016, this year’s Natcon in Brisbane, at 11am Queensland time. We’d love to see you there, so RSVP through Facebook if you’re planning to attend. If you can’t be in Brisbane, you can pre-order an ebook copy via Amazon now (it will probably drop by Thursday!) or in beautiful hardcover from your preferred retailer. And there are just two days left to enter to win one of three copies over on Goodreads. Click and be in it! Giveaway ends March 23, 2016. Speaking of being in Brisbane, we’re waiting eagerly for the Aurealis Awards ceremony taking place on Friday night at Contact (live streamed to Swancon on the West Coast!) and the Ditmar Awards on the Sunday night as well. It’s not too late to get your membership to attend the convention, or a ticket to the Aurealis Awards (although time is running out!). Good luck to all our nominees, and to everyone on the shortlists! This entry was posted in Rebirth of Rapunzel and tagged giveaway, Kate Forsyth, pre-order, The Rebirth of Rapunzel. Bookmark the permalink.